The best and most important maintenance is turning regularly. 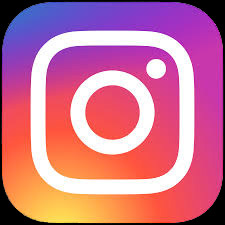 The more you turn your Sandpicture the less care it needs. 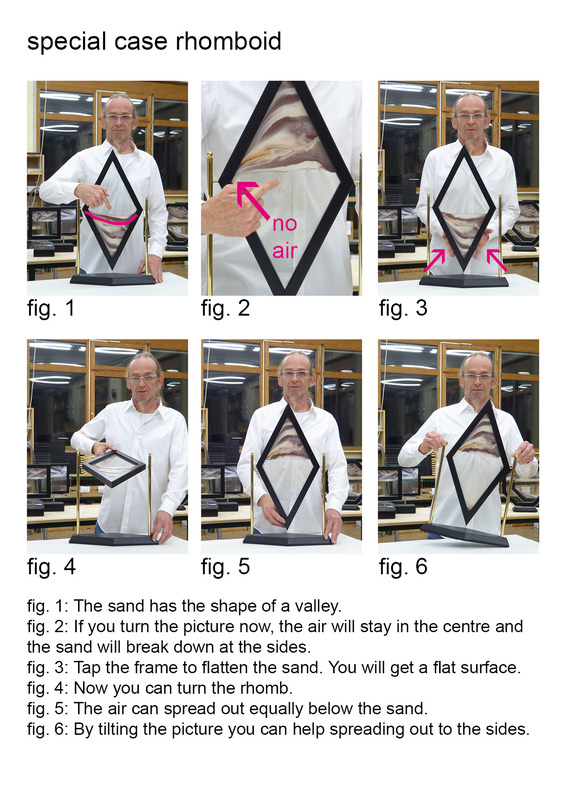 This has to do with the fact that in a standing picture the sand is compressing and building up pressure. Each turn releases that pressure in the picture. Why does a Sandpicture need maintenance? 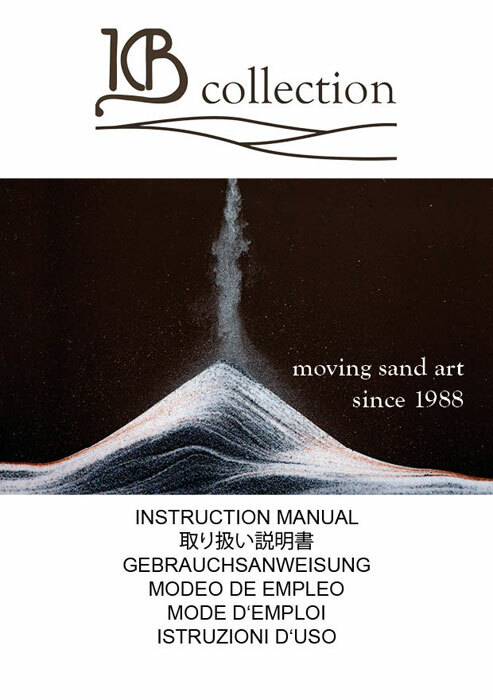 Each Sandpicture is filled with sand, water and air. The water is enhanced with soap so the water tension is gone, and a stabilizer so it will keep on running and algae and bacteria will be kept away. Water will evaporate – we know that's a natural process. It happens through transmission through the sealant in microscopic amounts. As compensation of the lost liquid air will be inflated in micro doses. When the air pocket is getting too big, the sand cannot filter through it anymore, because the uplift of the air will become bigger than the gravity of the sand. If you want to keep your Sandpicture going you need to regulate it time by time. The necessary tools are originally included or can be re-ordered in our shop. We know how much air a picture needs in average for a gentle and slow movement building mountain landscapes. 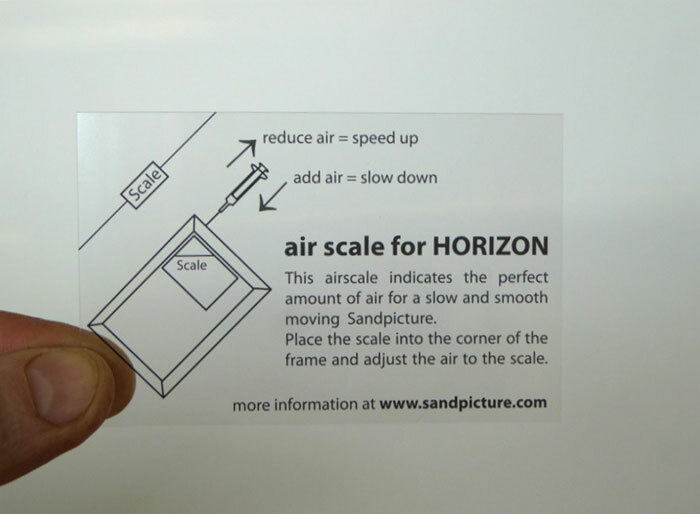 For you are able to control the air perfectly, we established the Airscale and provide it with every Sandpicture showing the right amount of air for proper function. Our Sandpictures are coming with a syringe and a blunt needle to avoid injuries and to pursue general laws about the use of medical needles. 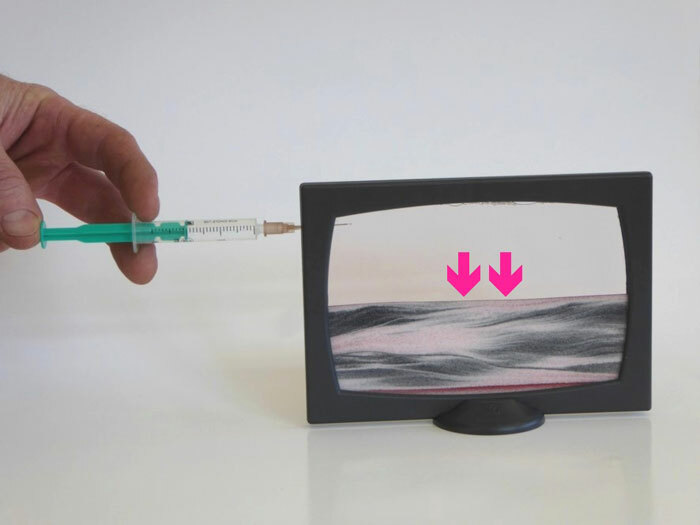 Basically a pointed needle would be better for the Sandpicture because the pointed needle will prevent the sealant from injury when injecting. 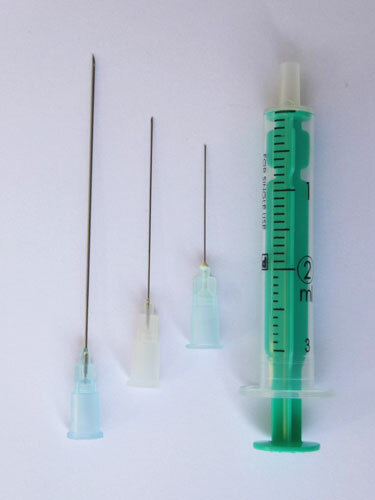 With a blunt needle you can stick around 20 times, with a pointed needle up to 50 times into the same hole. You can order a pointed needle in our online store. 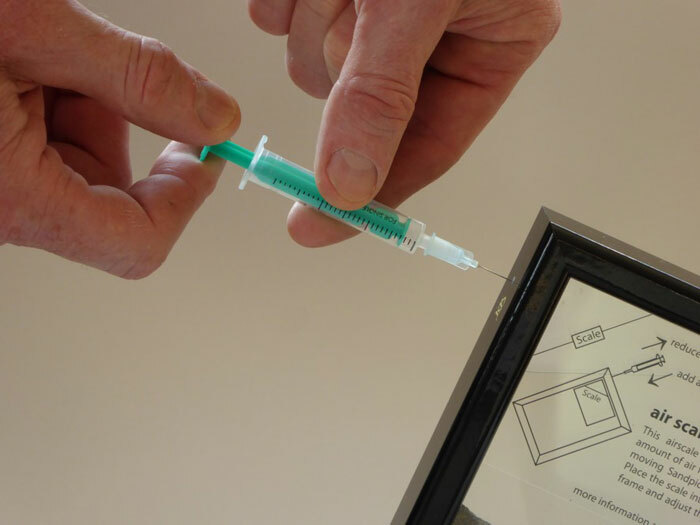 In most pharmacies you will have a hard time to purchase the thin sizes required: 0.35 x 22 mm or max. 0.4 x 25 mm / 27 ga x 4/5" or max. 26 ga x 1". Too thick needles will injure the sealant of the picture and it will start leaking! 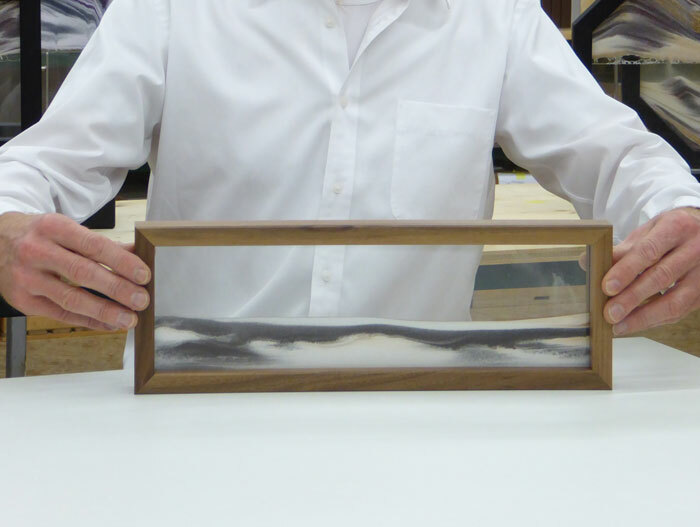 Each of our Sandpictures has an air-hole on the side of the frame which enables the regulation of the picture. Rectangular sizes come with two, round sizes with one hole. Take care that there is no sand around the air hole when you want to regulate. One single grain of sand can spoil the needle when sucked in.. 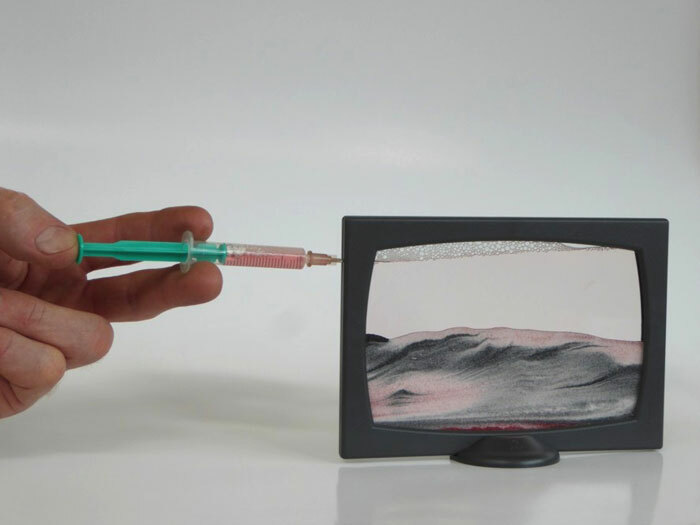 Remove the sand by turning of slight shaking of the picture. Each of our pictures comes with a user's manual teaching the basic rules of regulation. Click on the pdf or navigate down to get more information. 1) Firstly always regulate the air. NEVER TAKE OUT WATER! 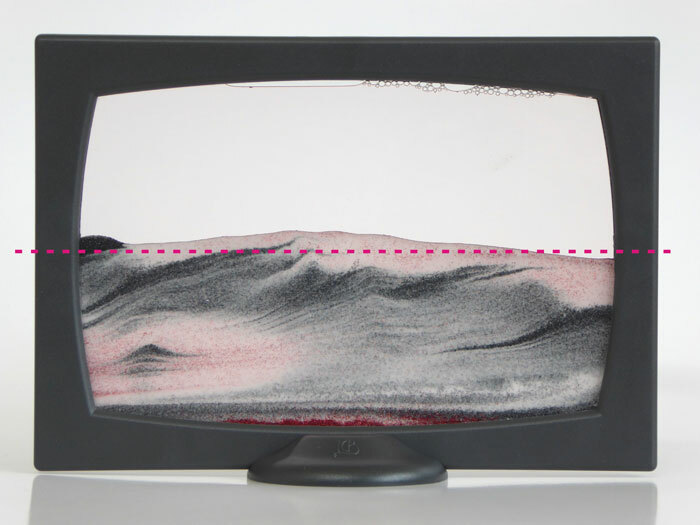 2) If the air barrier is too thick (too much air), the sand cannot move. Take air out! 3) If there is too less air in the picture, the sand moves too fast, building only flat dunes. Refill air by pushing in! 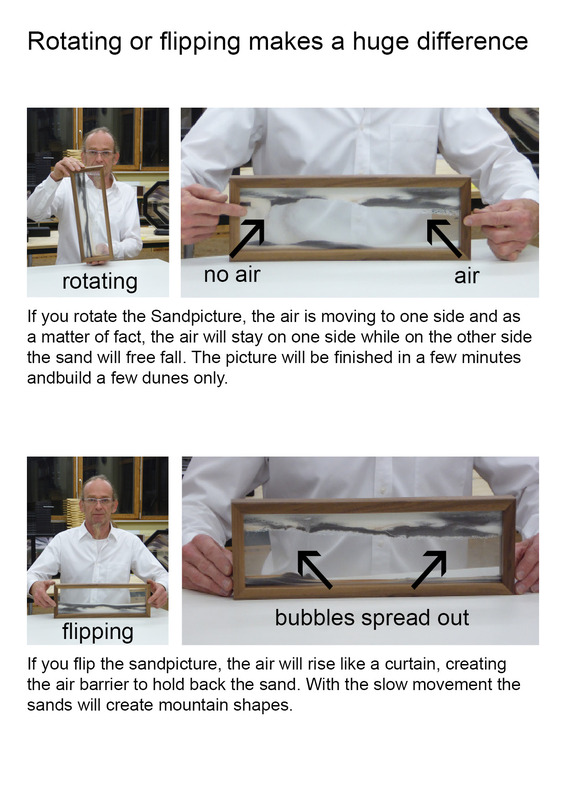 1) Take care to remove all the sand from the air hole area, tilt the picture so the air moves up to the air hole. 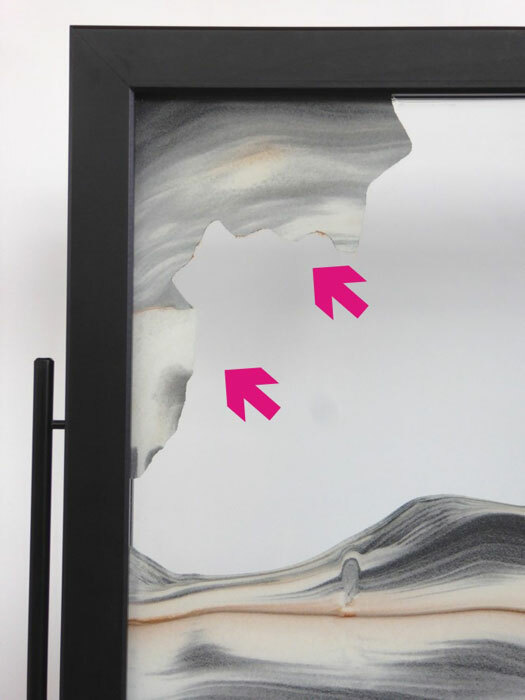 2) Insert the Airscale to that corner inside the frame. 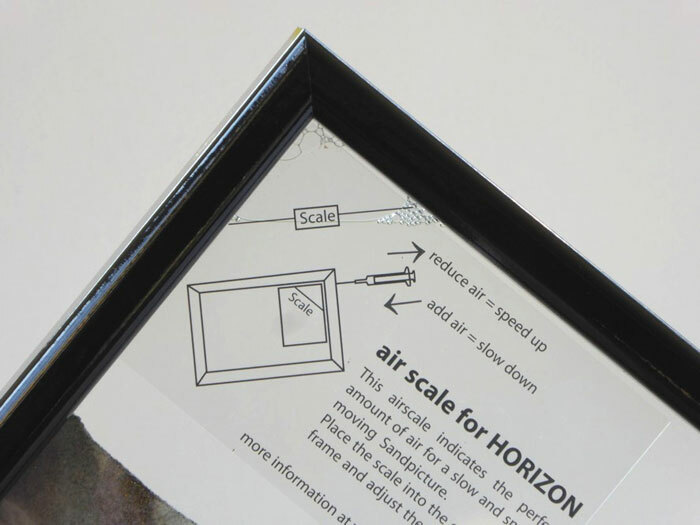 Caution: do not move the Airscale underneath the frame - keep it inside the frame shape. 3) Insert the needle through the air hole. 4) Take out air by pulling up the injector according to the Airscale. Some pictures, namely special shapes must be turned the right way for a slow movement. 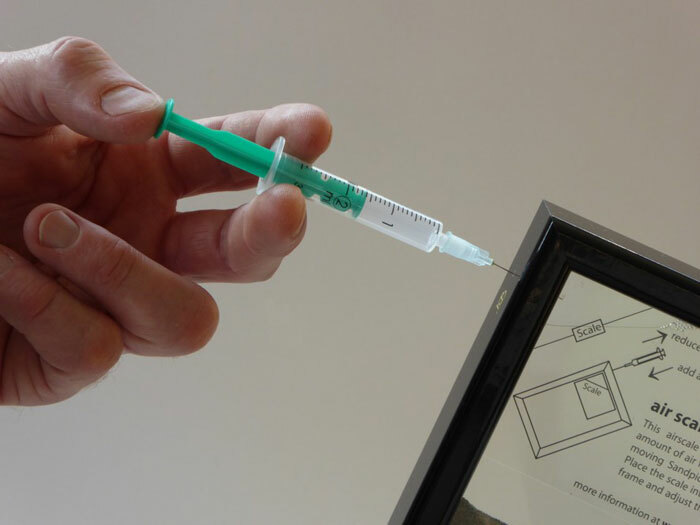 3) Pull up the injector to get air into the syringe, now insert the needle through the air hole. 4) Push air into the picture according to the Airscale by pushing down on the injector. As mentioned water evaporates from the Sandpicture in microscopic amounts. If only a small amount of water is missing, the flexible glass panes can equalize the minimal low pressure. Regulating the air according to the above instructions will do the trick. 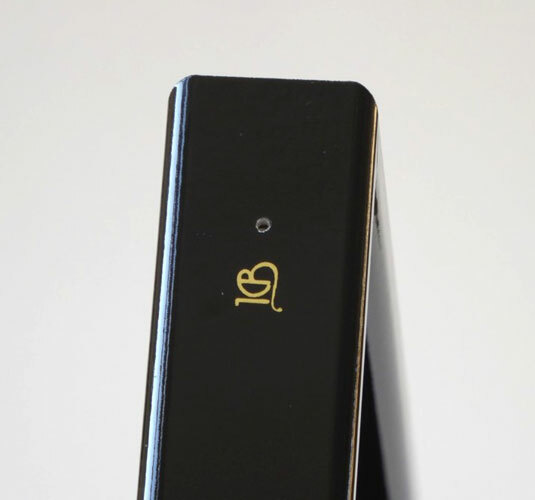 The Sandpicture is a sealed container. Inside there is water and (too much) air. If you try to only refill water, the air remains inside. Unlike in a drinking cup, where the air disappears when you refill it. This is the most important detail you have to consider. So if you refill water without taking out the same amount of air, the amount of air seemingly shrinks - but only seemingly, because air can be compressed. The pressure inside the picture grows and in worst case the glass will break. 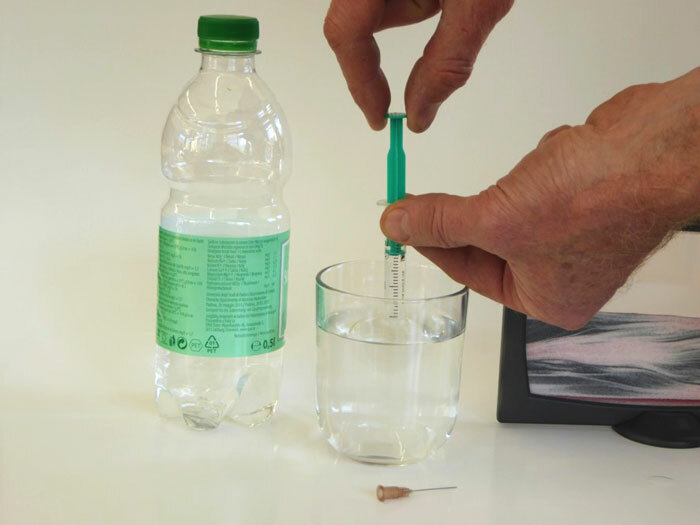 IMPORTANT: Always push an injector of water into the picture and remove the same amount of air as next step..
Repeat this procedure until the amount of air reaches the right level - see Airscale. 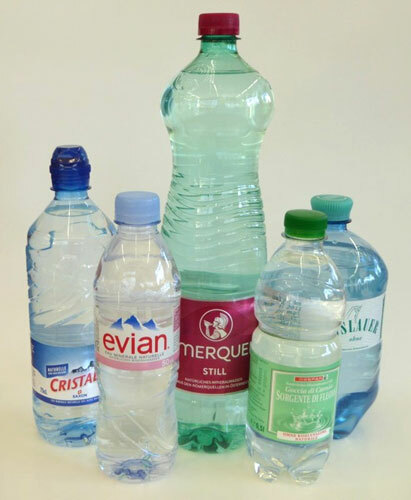 CAUTION: Only use still water - spring water or artesian water from a bottle. They are UV treated and therefore free of bacteria or spurs of algae. Minerals are harmless because there are anyway minerals inside the picture. Tap water is not safe and should only be used after boiled and cooled down. Purified or distilled water is the worst. It is denatured because water has the urge becoming saturated with minerals or ions. The same job does purified water in your Sandpicture: it will destroy the soap and the preservative. Keep your hands off it. It is as harmful for the Sandpicture as it is for the human body. First regulate the air as mentioned further up and let the sand move through and fully settle. If the sands cover more than 50 % of the picture surface, you need to refill water until the sand horizon drops below the 50 %. Again keep in mind the sealed container: under vacuum the glasses bend inside (concave) and there is less volume inside the container for the same amount of sand. If you refill water the volume between the glass panes increases, that's why the sand horizon will fall. With the necessary interactions like air regulation and water refilling it can happen that germs enter the picture even though you followed the instructions accordingly. The sands start to clump and patches of sand remain on top even though there is no air to hold the sand. For that situation we have a concentrated soap which you can order online. You simply inject the concentrated liquid into the picture to solve the logjams. After too many interactions with the injector the sealant can break. How often you can insert the needle also depends on how careful you are doing it. We have a solution for this case: the sealant repair kit. If you want to be safe, you can send us your Sandpicture back for repair and maintenance. We only charge a minimum fee because we want you to enjoy continuous pleasure with your Sandpicture. 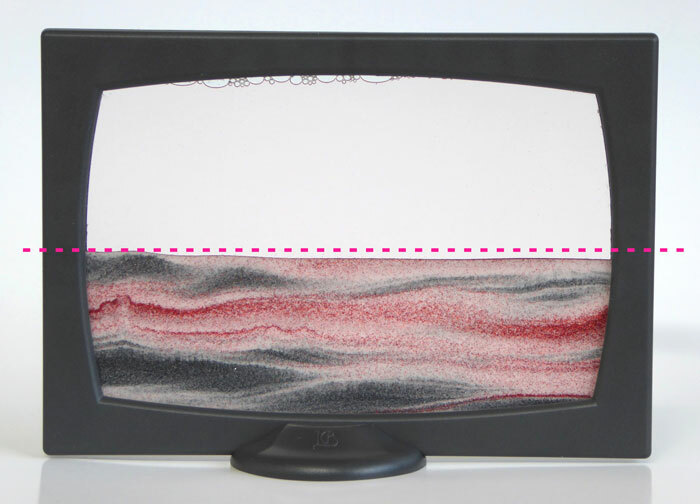 A Sandpicture is a living medium and therefore it is difficult sometimes to find out why it is not doing what it should do. Here yo find a few delicate questions of our customers, answered by the sand doctor.